SKU: QDA03. Categories: Tools & Equipment, Yard & Garden, Power Tools/Hand Tools, Automotive Tools. Tags: gas compressor, sprinkler compressor. This floor stapler is for installing 1/4″ to 1/2″ laminate tongue and groove wood flooring. The compressor used with this stapler needs to run at 70-100 psi. The stapler uses a 1/4″ crown x 1″ length staple which we sell separately. 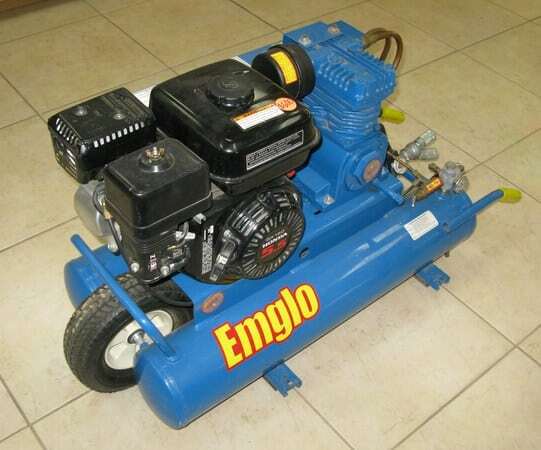 You will need a compressor to run this item which we rent separately if needed. This impact has a 1/2″ drive and operates at 380 foot pounds. This tool requires an air compressor which we rent separately if needed. This is a Porter Cable FR350 framing nailer which shoots Porter Cable nails from 2″ up to 3.5″ in length. This nailer is requires a compressor which we carry if needed, but is rented separately. This is a Portercable FN250A finish nailer which shoots finish nails from 1″ up to 2.5″ in length. This nailer is great for trim or finish work and requires a compressor which we carry if needed, but is rented separately.